Some students choose to do the easier subjects by a Distance Learning Course and then attend our Full-Time Ground School for the more difficult subjects. The choice is always yours! Passing the ATPL(A) examination is an important step in your aviation career. As specialist ATPL theory instructors, we are well aware of the difficulty most pilots have studying the Part 61 Manual of Standards Aeronautical Knowledge Standards (Syllabus). . Not only do many pilots require assistance to revise their Commercial Pilot theory, they also need to have the new concepts in ATPL(A) presented in an easy to understand format. 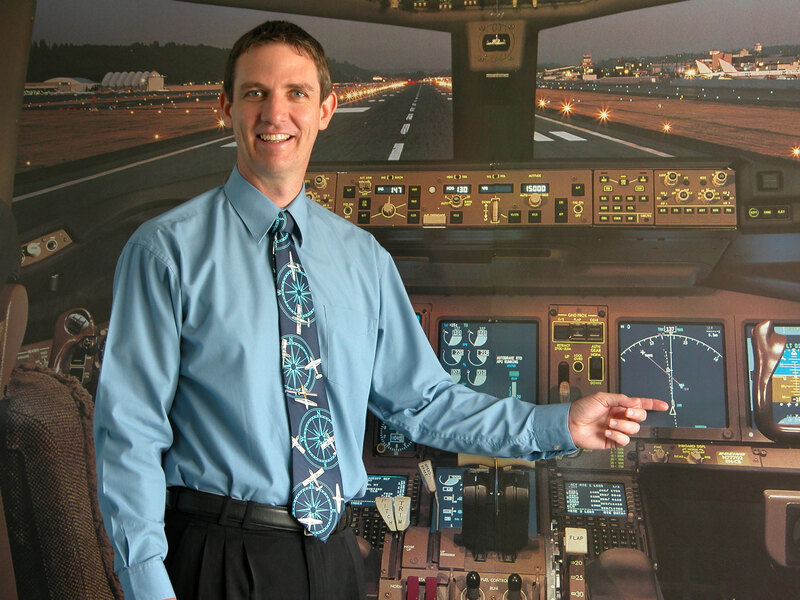 Advanced Flight Theory offers both Full-Time Ground School course and Distance Learning Courses. We believe that Full-Time Ground School is the best way to complete your ATPL study. 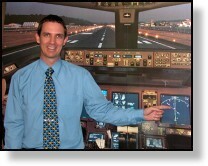 For some pilots the only alternative is to complete the course via Distance Learning. We are well aware that many students would like to study the easier course material on their own, and concentrate on the more difficult subjects in class. Our full-time course format takes this into account. One of the most limiting factors when doing ATPL study is your time. We understand that most pilots need to take leave from work, sometimes without pay, to attend a course. With this in mind we have taken every possible step to minimise the course duration and related costs. It is with confidence that we can say our courses are comprehensive in content, but as short in duration as possible. We are often asked how we achieve such good results in this short time frame. The answer is simple – we make you work hard! You must be totally committed to your study for the duration of the course. Distance Learning study can be a challenge and success requires personal discipline, motivation and dedication on your part and comprehensive backup and constant support on our part. Our freecall phone/fax helpline and email support via the internet ensures that you are never left on your own. It should be very encouraging for you to know that with the right approach and commitment, success at first attempt is definitely achievable. Our entire course has been written specifically for the Part 61 Manual of Standards Aeronautical Knowledge Standards (Syllabus). We have sat and passed the CASA exam at the first attempt, so you can be confident the methods we use do work. ATPL(A) theory study will never be easy, however we are confident that with the right attitude and commitment you will be able to achieve this important qualification. A very important feature of our school’s policy is that if, after attending our full time course, you are not totally prepared to sit the CASA PEXO Exams, or you are having difficulty with any aspect of the course, you are welcome to return and resit all or any part of the course you have paid for once, with no additional course fee within a two year timeframe. If necessary, you may also resit all or any part of the course more than once, subject to some simple conditions. We guarantee to stick with you until you achieve your goal of an ATPL(A) examination credit. Contact Brett Adamson for further details or to place an order. The pre-qualification requirements for the ATPL is a pass in the Australian CPL(A) theory examination or a CPL(A) Licence. You will be unable to book an examination unless you meet this requirement. Adelaide (Parafield), Alice Springs, Brisbane (Archerfield), Ballarat, Barcaldine, Broome, Cairns, Canberra, Cessnock, Coffs Harbour, Darwin, Hobart, Kalgoorlie, Karratha, Kununurra, Launceston, Mackay, Mangalore, Maroochydore, Melbourne (Highett), Merredin, Mildura, Mt Isa, Nhulunbuy, Perth, Rockhampton, Sydney (Bankstown), Tamworth, Townsville, Wagga Wagga and Yulara. The CASA examination fees are for the PEXO Exam service provided by CASA via their web-based delivery system. The ASPEQ exam delivery fees are charged for each examination subject required. The fee structure is based around the length of the examination subject as this determines the amount of computer time used to deliver the subject. The fees are shown in the table below. IMPORTANT NOTE: CASA and ASPEQ PEXO fees are NOT included in our course fees for Full Time Ground School or Distance Learning Courses. For specific questions regarding course content and format, our ATPL(A) course instructor Nathan Higgins, will be very pleased to assist. We continue to make every effort to ensure our course is the most practical and comprehensive available. You can call Nathan at any time – even after hours on 0419 774 136.